In 2016 at Garnwen, Senni. 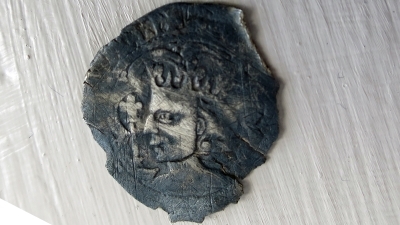 LD3 8SU, a Scottish hammered silver half groat, Robert II, 1371 - 1390 was found behind the farmhouse, using a metal detector. Were Scottish farm workers in Senni, at that time?